I have loved what I call string arts (!) since as long as I can remember, and one of my first memories is sitting as a toddler with my Nana, learning to knit. In the lifetime in between I took up macrame, knotting, braiding, natural dyeing (from my own garden! ), spinning, crochet, more knitting, and of course weaving in a mountain of forms! My university education is in plant biology, including ecology, and languages, and I love the confluence of natural materials and processes, and tradition. When I started weaving, though, I found the choices in materials both limited and overwhelming. I was uninspired by stock dyed yarn, although I still love sample cards!, as I could never find exactly what I was looking for. I wanted greater control but also wanted to do tonals, semi-solids, and variegated, and to have complete control of what I was weaving. As a person who is captivated by not only materials but also processes it led me down the path of creating my own brand of curated, designed yarns, accessible to all weavers, from beginners to professionals. 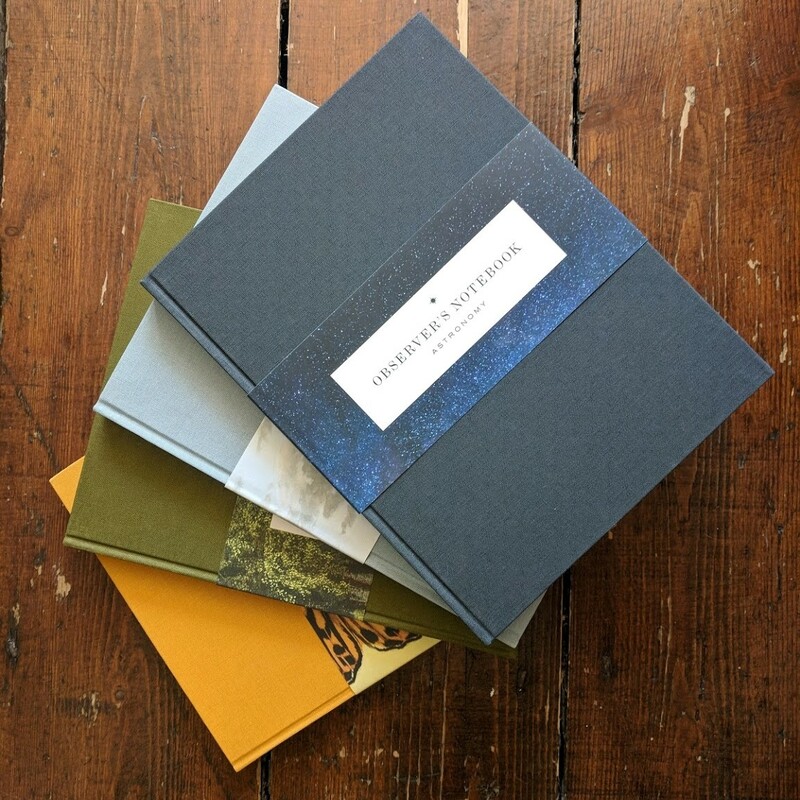 All the yarns are ones that I’m passionate about and use myself and I hope you love them as much as I do, from the rare and precious, to the classics and essentials. Why Saltwater Rose? I wanted the name to reflect inspiration, freshness, and freedom. 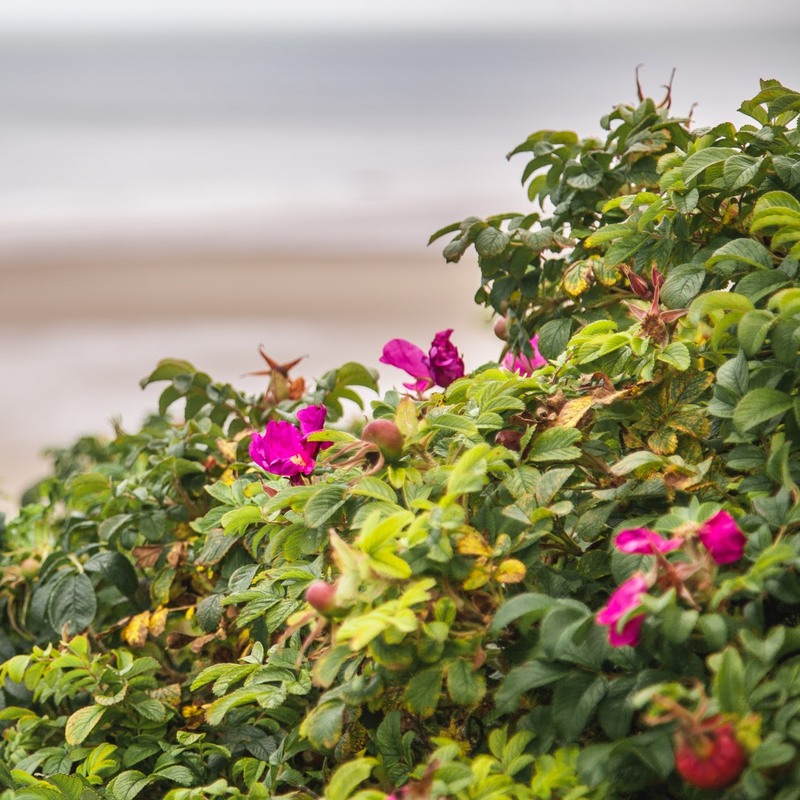 When I think about those feelings, I think of something I’ve done a lot as a birdwatcher and a photographer: standing on a seacliff on the Atlantic ocean, with bracing salty air fierce in my face, and wild roses tumbling down the hills. I hope that when you work with these materials you feel the freedom to find and express your inspiration, to explore new areas in your work and to refine existing favourites. 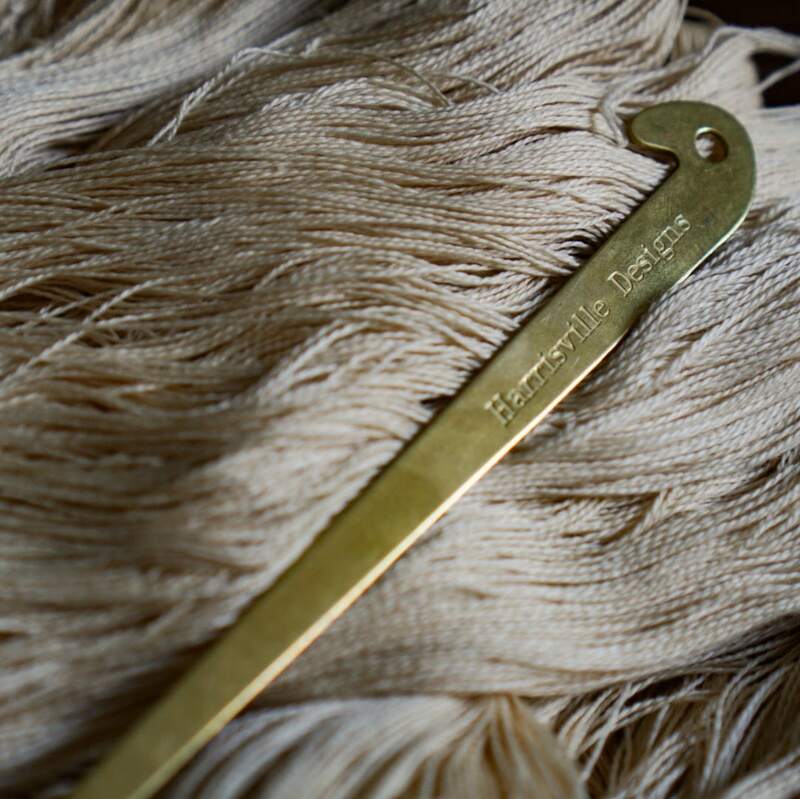 Why only undyed, natural yarns? The shop is what I love as a weaver and dye artist. Dyeing our own materials opens up limitless possibilities for creation and expression. And embracing the natural colours of materials offers us depth and subtlety. I believe it also can be more economical for a weaver to keep a supply of a single type of yarn and dye it to suit, than it is to have to keep many colours around. Today this little shop continues to grow as a tiny, family-run business. We have blends of 4 bast and pseudo-bast fibres – linen, hemp, ramie nettle, and pineapple, countless blends and varieties of silks, as well as specialty fibres like SeaCell™, and much more. Our range includes luxurious versions of essential yarns, including long staple cottohemp, Supima cotton, and TENCEL™, some of the rarest in the world, including Sea Island cotton and SilverSpun® Silk, and exclusive blends like mulberry silk and ramie nettle, and much more. And while these yarns can be used in their natural state, they are a beautiful canvas for dye work. We are now proud stockists of Dharma Trading Fibre Reactive dyes, with a track record of many decades as high quality, colourfast dyes. We are also very proud resellers of Louët looms and equipment. As a weaver, I use Louët looms myself, from my table loom to floor looms and believe them to be the most elegantly-engineered, low-footprint yet powerful looms available today. Thank you for your support and please join us on Instagram and Facebook! Tag us with your makes and we often re-share. We are so proud of what all of you make with these lovely materials.